As I sit preparing myself for the next designer at Vancouver Fashion Week to debut their line for Fall/Winter 2017, Jamal Abdourahman, founder of this iconic Vancity event sits next to me. He leans in and gives me the hot tips to look out for with the collection that is about to emerge on the runway. During the following break he then introduces me to some of the biggest fashion influencers that have flown in for the event. The crowd is a wonderful mix of international guests and Vancouver’s own trendsetters. This being its 29th season, Vancouver Fashion Week is well known for its commitment to showcase international designers as well as local Canadian talent and consistently celebrates multiculturalism on their runway. 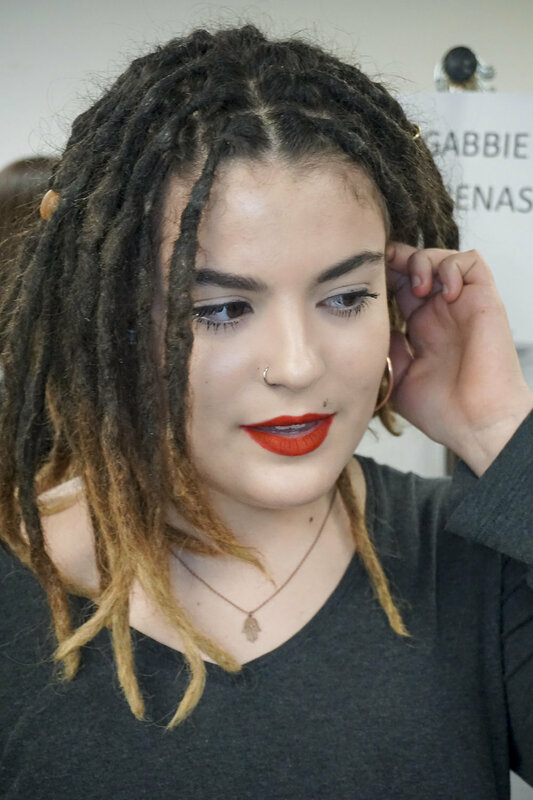 When it came to beauty on the runway there were some amazing looks, such as slick hair, distressed braids, dewy skin, and bold lips. Designer Ella “Lennon” Wallach, had her models painted with a bold, black line down the center of their faces that complimented the lines on her designs beautifully. That coupled with natural, carefree hair with a single, thin center-part braid gave it a feminine touch to an incredibly strong, alternative feel. MAAK, a label out of Australia, included undone finger waves, fresh faces, and a dark lip as part of their models look, which was gorgeous mixed with the minimalist yet edgy appeal of the collection. Designer Ella "Lennon" Wallach and her striped beauties. Photo courtesy of Ed Ng. 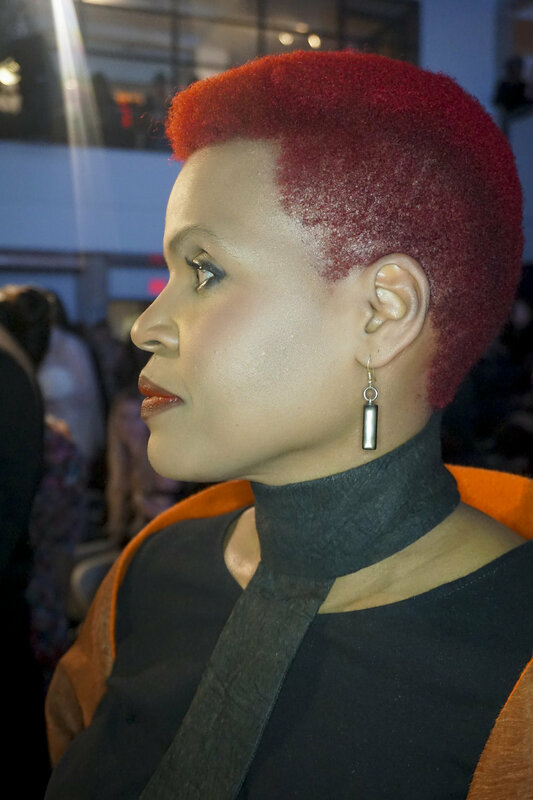 In between all of the shows, I couldn’t help but look around and be in awe of the personality that the attendees showcased through their own hair and makeup styles. It was the place to be to scope out what beauty trends these top fashion influencers and bloggers are currently setting. Pretty in pink monotone palettes perfect for spring, lush hair colours such as deep maroon and cobalt blue, bold hair cuts with great angles, fantastic accessories such as thin metal eyeglasses and thick colored sunglasses, dark lips for days and fresh faces with bold brows. These all stole my heart completely.